Summer vacations are that time-period during which people travel to their favorite destination to spend their vacations and during this season every place is filled with the huge number of travelers and Goa is among those places where tourist visits to spend their precious time together. Being the smartest place, Goa is the most trending travel destination of India. Goa is also known as the queen of beaches. Even though, visiting the place like Goa is affordable because there is the unlimited number of packages that are offered by various travel companies either online or offline. So, let’s discuss why Goa is always in demand during vacations. Sometimes, travelers want to spend their nights in luxury hotels and there are many hotels around Goa where travelers can get the view of the beaches too. Such types of hotels are safe and secure too. For the newly married couples, they can get special travel packages which can help them in making their trip more memorable and peaceful. Even though finding the packages for Goa is very much easy, you only need to make search for the packages from the internet. Sometimes, travelers neglect visiting the place which is difficult to reach, but if we talk about Goa, then it is very much easy to reach the most exciting place like Goa. Travelers can Goa by air, by road or by rail. During the trip, one can enjoy sightseeing which is surrounded by green trees. 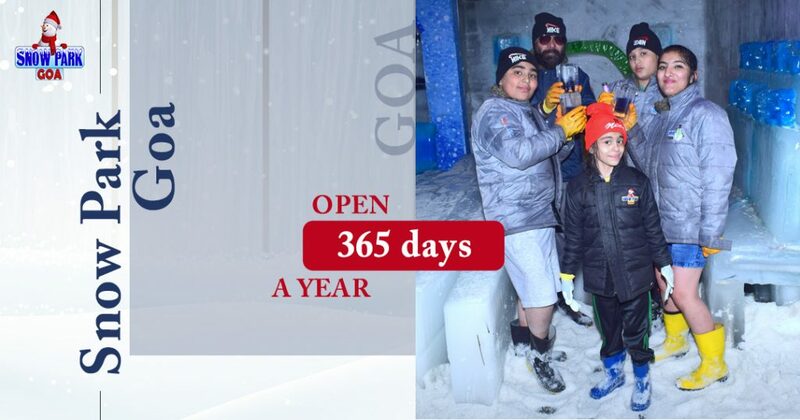 During the summer vacations, people visit Goa to beat the heat and they get that done by just visit to the place where they can get the snow activities like snow volleyball, playing with snow, getting experience of snow sliders, DJ dancing, and many others and the snow activities are also among the list of the must visit places in Goa. Goa is always the place which is always attracted by the couples because there are many romantic places to visit near Baga where they can celebrate their valentine week. Moreover, the couples can have a romantic dinner near the sea-shore which let the couples to fall in love again. There are many romantic pubs, restaurants in Goa where only couples can enter and they are the best option for the couples to celebrate their love. There are many travel companies that are available online which offers various deals and offers regarding hotel tickets, restaurants and air tickets for Goa to experience the best attractions in goa which help travelers in saving their money. Even though, there are many websites that can compare the hotel prices of goa so, that travelers can save their money. At last, if you want to experience the beauty of nature in the form of beaches, then nothing is better than the Goa.